Language Systems Lifestyle! 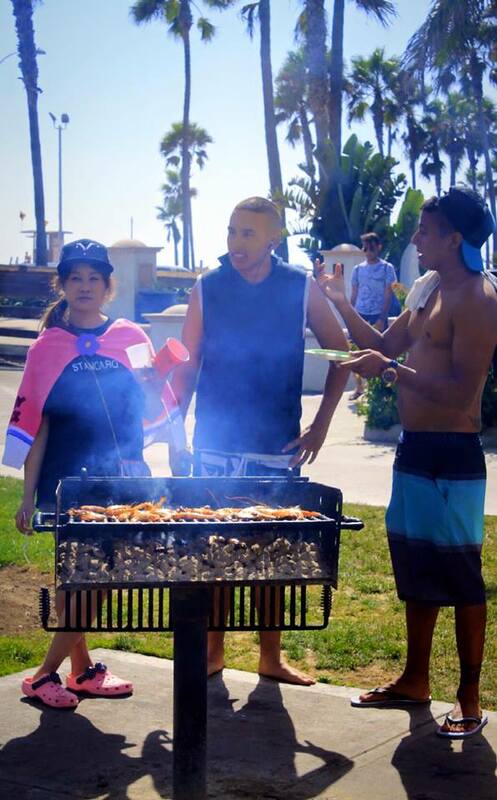 : OC Beach BBQ!!! 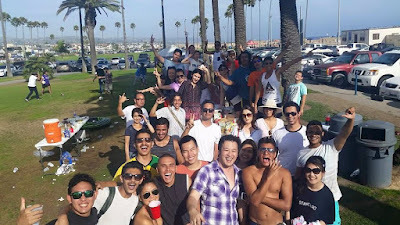 On Friday July 31, about 50 students from Language Systems - Orange County got together at Balboa Beach for a Beach BBQ Party. 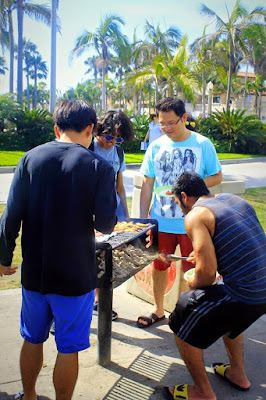 The BBQ took place in a nice little park/picnic area on Main St. and the Balboa Pier. During the party, students had a chance to play American football. For many of them it was the first time. Also, many of our students ended up jumping in the water and body surfing onto the shore. That was a lot of fun too. 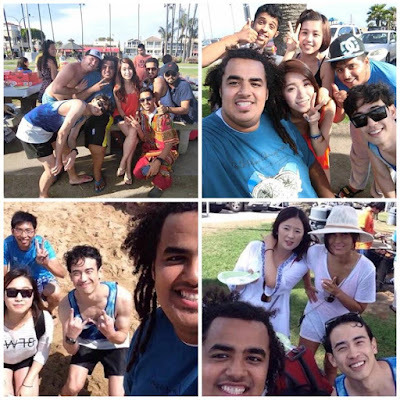 As for the BBQ, our meat included hot dogs, Korean Kalbi, Korean beef, Mexican chicken (pollo asado), corn, zucchini, and Korean fish patties (chuipo). We also had Korean kimbap, saasoned tofu, and japchae. The food was really good. We had students from the following countries: Japan, China, Taiwan, Korea, Saudi Arabia, Syria, Colombia, Brazil, Mexico, Thailand, Vietnam, Iran, and Malaysia. 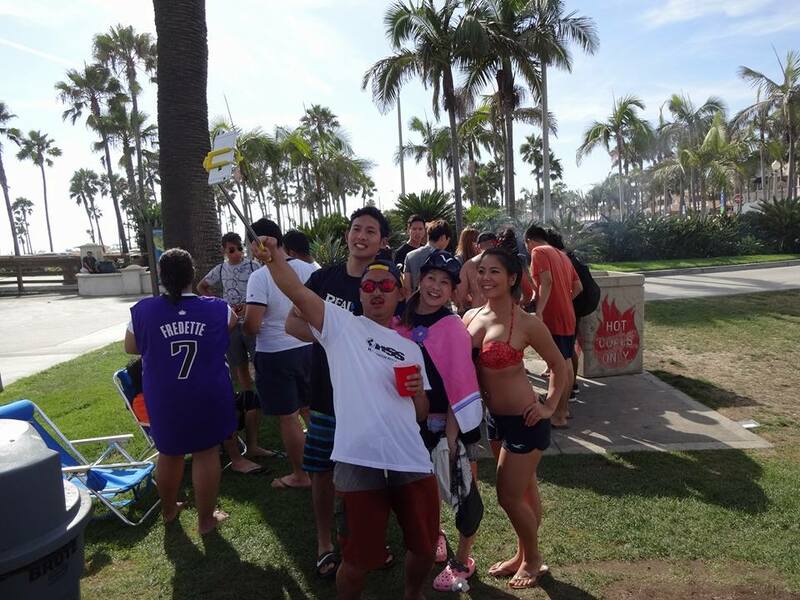 The weather was perfect, and the students and staff had a blast!